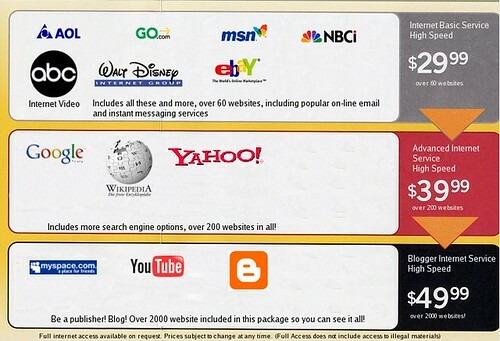 Cool internet researcher dude Jeremy Husinger sent around a link to this brilliant fake ad for what our internet access rates might look like in a world without Net Neutrality public policy. The most effective illustration of what is at stake I’ve seen yet. Taken from Reddit.com. NOTE: No licensing or authorship information was available at time of posting. I’ll be happy to take this down or credit the creator if she steps forward.